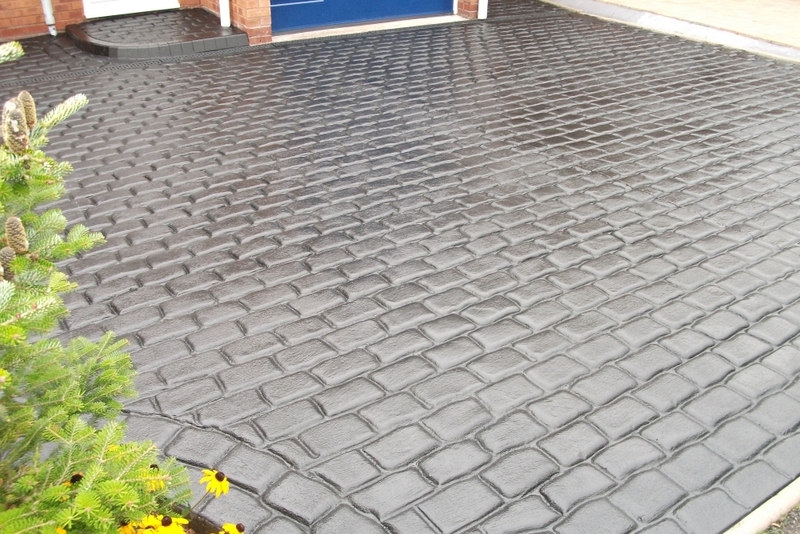 Imprinted concrete driveways appeal to many home owners because they offer an economical alternative to block paving and is far more attractive than tarmac or loose stones. It also requires less maintenance than other materials because it has no joints where weeds can grow. Printed concrete also adds value to your property and looks pristine for years to come. We are a family business operating in North Wales, Cheshire and Wirral. Choice – Imprinted concrete offers you a huge range of styles and colours so you can find exactly the right fit for every kind of property. We match this with edgings that complement the overall look and feel of the project. 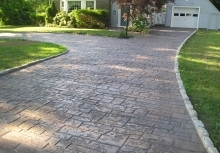 Adding value – Upgrading your driveway to imprinted concrete can add value to your home. 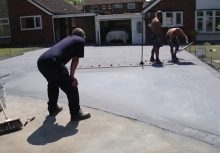 Aesthetics – Adding a new smart driveway will make your property look so much better. Resiliance – Imprinted concrete is hard wearing and requires very little maintenance. This ensures it stays looking great for years to come. Easy care – Unlike block paving you don’t need to worry about weeds, subsidance or staining. Fast results – We can prepare and install your new imprinted concrete driveway in less than one week. The sky is the limit when it comes to choosing a combination of pattern, colour and edging for your new printed concrete driveway. How deep do you dig down? Do I need a skip? How long before I can walk on my drive? How long does installation take? Get the answers to all these common questions and more. We can offer you a FREE, no obligation quotation with NO pushy salemen guaranteed. Just click on the button below and give us a few details such as the size of the driveway and the colour and pattern you would like. We can then provide you with an accurate price for your imprinted concrete driveways with 24 hours.